Dr. Vroon graduated with her bachelor?s degree in biology from the University of Kentucky, and she received her medical degree from the University of South Alabama College of Medicine in Mobile. Dr. Vroon completed her internship and residency training in pediatrics at Wilford Hall Medical Center at ... Read More Lackland Air Force Base in Texas, where she served as chief resident. 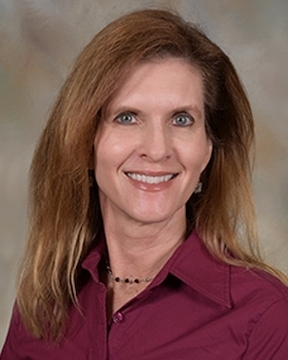 She is board certified in pediatrics and a fellow of the American Academy of Pediatrics. Prior to joining Sacred Heart, Dr. Vroon practiced pediatrics at Eglin Air Force Base and was a volunteer for the American Red Cross. She has held staff physician positions in pediatrics at Aviano Air Base Medical Center in Italy, Brooke Army Medical Center in Texas, Keesler Air Force Base in Mississippi, Robins Air Force Base in Georgia and the United States Air Force Academy in Colorado. She was appointed an associate professor of pediatrics at Uniformed Services University of the Health Sciences in Bethesda, Maryland. When not seeing patients, Dr. Vroon enjoys running, swimming, camping, hiking and spending time with her husband and three children. She volunteers at her church and at the local schools.